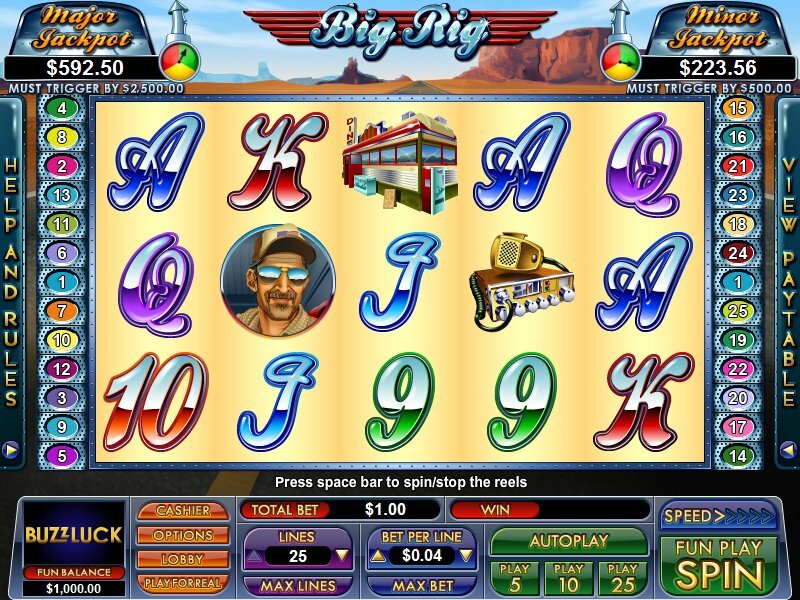 Overview: Get ready to hit the road and enjoy your ride with Big Rig, the shiny new 25 line slot from Nuworks. 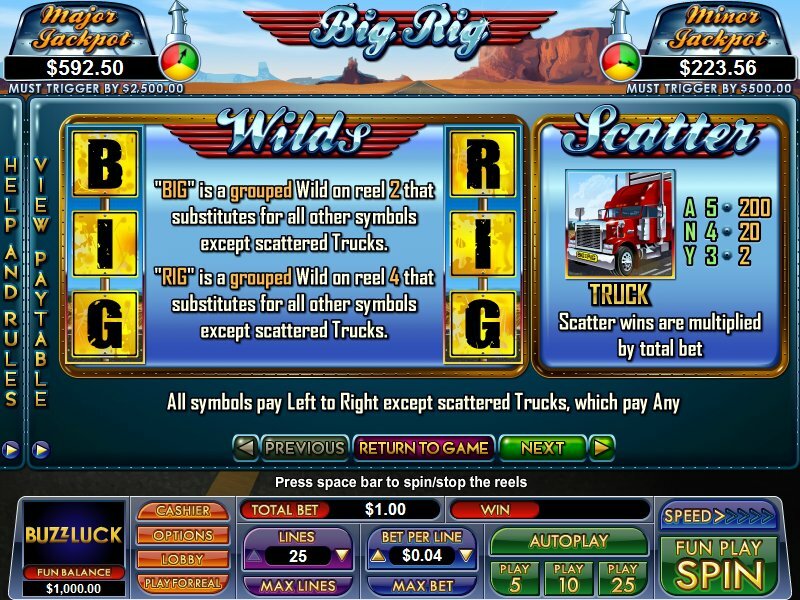 There is also a great new feature incorporated into Big Rig - Boiling Point Jackpots! These two meters add nail-biting excitement with a steam gauge and "must-trigger-by" value on display for extra pressure! 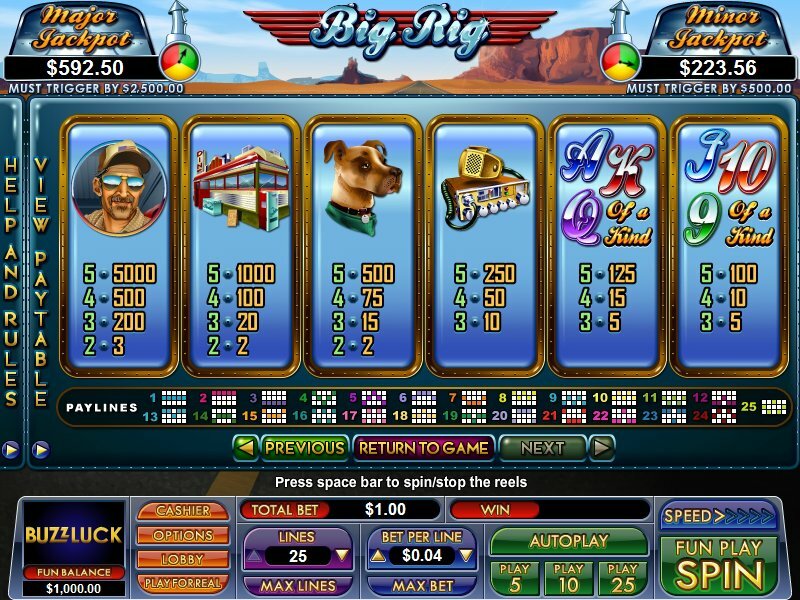 Similar Slots: If you like Big Rig, you might like these other slot machines from NuWorks: Batter Up, Catch of the Day, Head Hunter, Iron Duke, Stone Age Cash, Sword of the Samurai.